Far Cry 3 is an open world first-person shooter video game developed by Ubisoft Montreal and published by Ubisoft for Microsoft Windows, Xbox 360 and PlayStation 3. It is the sequel to 2008’s Far Cry 2. The game was released on December 4th, 2012 for North America. 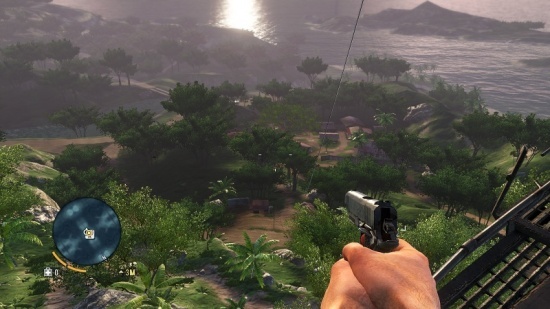 Far Cry 3 is set on a tropical island found somewhere at the intersection of the Indian and Pacific Oceans. After a vacation goes awry, player character Jason Brody has to save his kidnapped friends and escape from the islands and their unhinged inhabitants. 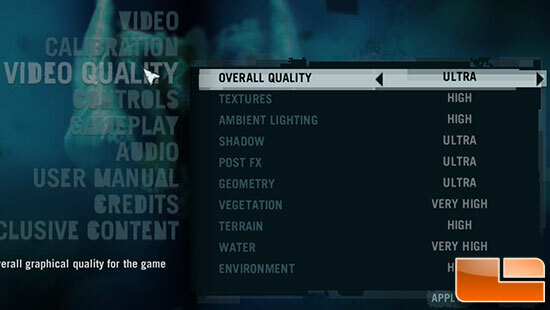 Far Cry 3 uses the Dunia Engine 2 game engine with Havok physics. The graphics are excellent and the game really pushes the limits of what one can expect from mainstream graphics cards. 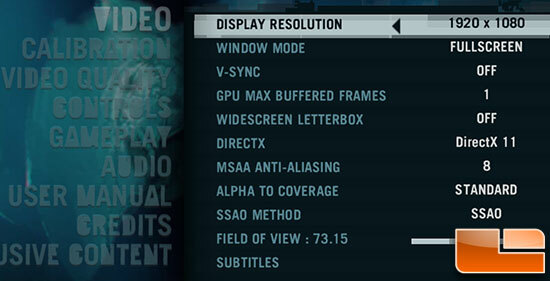 We set game title to 8x MSAA Anti-Aliasing and ultra quality settings. 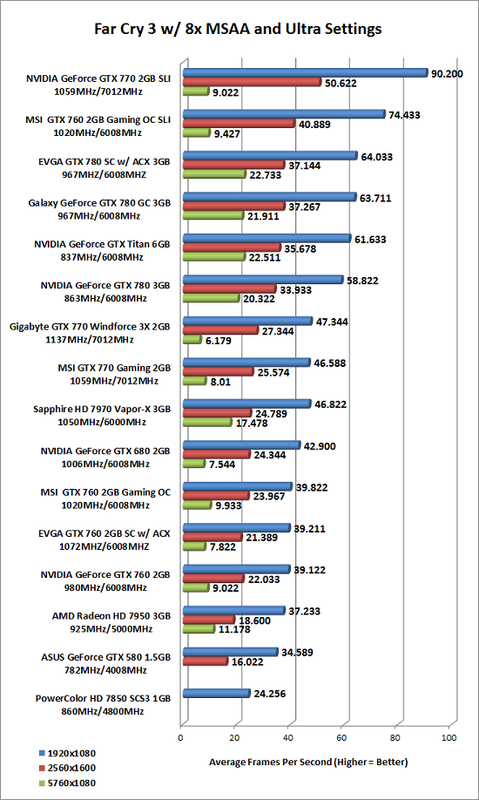 Benchmark Results: The EVGA GeForce GTX 780 Superclocked with ACX Cooling was tested with NVIDIA GeForce 320.49 drivers and the MSI GeForce GTX 760 2GB Gaming OC and NVIDIA GeForce GTX 760 were tested with GeForce 320.39 drivers. As you can see it looks like in the newer GeForce 320.49 drivers that performance in Far Cry 3 took a slight hit as the EVGA GeForce GTX 760 took a slight performance hit.